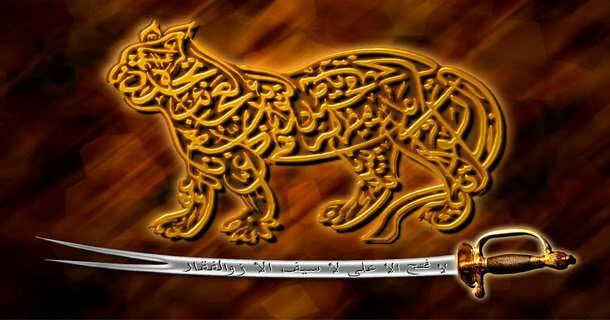 The Scholar, the Gnostic, Zāhid and Friend of Allah, Aḥmad ibn Muḥammad Ṣāliḥ ibn ‘Abd al-Fattāḥ al-Rifā’ī al-Ḥabbāl was born in 1905 (1323H). Considered by many to be one of the abdāl, he was a walī known for his immense piety and devotion. He was kind and compassionate to the poor and weak. He never missed the Fajr prayer in congregation until his illness a few months before he passed away and he was also known to have never missed any classes or dhikrs with his teachers. Shaykh Aḥmad al-Ḥabbāl completed the recitation of the Holy Qur’ān once every week from the age of 15. He had the most perfect adab with Allah , His messenger , the ‘ulema, adults and also children. In order to appreciate this illustrious scholar we have to look at the factors which contributed to his incredible personality and his piety. This may be understood when we look at his upbringing and his family. He was the son of Shaykh Ṣāliḥ al-Ḥabbāl who was a zāhid and a devout scholar who adhered to the various acts of ibādah. He was particularon performing the ṣalāt in congregation and is said to have performed Ḥajj thirty times. He was very particular on what he consumed and therefore only ate from that which he had earned by his own hands. Shaykh Ṣālih accompanied his uncle, Shaykh Sa’īd al-Ḥabbāl who was a senior Shafi’ī scholar and a pivot of piety. There are many karāmat attributed to him about which people still speak of. Shaykh Ṣālih also accompanied Shaykh ‘Abd al-Razzāq al-Tarābulsi who was a Shaykh of the Naqshbandi Sufi Order. Thus Shaykh Aḥmad al-Ḥabbāl was also Naqshbandi in his Sufi Order but Rifa’ī in his genealogy. His lineage linked up to Shaykh Aḥmad al-Rifā’ī and then ultimately to the Prophet Muḥammad . It is reported that Shaykh Ṣālih never consumed food in a home other than his own and he adhered to fasting on a Monday and a Thursday. Thus Shaykh Aḥmad was a result of this pure environment. One filled with taqwā, dhikr, consumption of Ḥalāl, Jihād and Mujāhadah. Shaykh Aḥmad was successful because he accompanied those who were successful. In this way we observed that he too loved performing Ḥajj and visiting the grave of the Prophet Muḥammad . This was a practice he learnt from his father and from his teacher Shaykh ‘Arif ‘Uthmān who also performed Hajj about thirty times. It is reported that Shaykh Aḥmad himself performed Ḥajj approximately 80 times. If we wish to produce more men like Shaykh Aḥmad, then we require men who resembled his teachers. We require a person like the illustrious and devout Muḥaddith, Shaykh Badr al-Dīn al-Ḥasani who probably had the greatest and most profound influence on Shaykh Aḥmad. If we were to ignore Shaykh Badr’s level of knowledge and his mastery in various Islamic sciences and instead focus on his spirituality, his abstinence and his love for the Prophet Muḥammad alone, we would soon realize how difficult it is to find an individual with all these noble qualities. If we were for a moment to look at his piety and righteousness we will observe immense love and veneration for the Prophet Muḥammad  and a person who loved the recitation of the Qur’ān. We will find various qualities which could each produce true ‘men’. Many of the ulama regarded Shaykh Badr al-Din as one of the Abdāl and they attributed this to his love for sending salutations on the Prophet Muḥammad Peace Be Upon Him. He was a man of few words. If the need arose for him to speak then it was to answer someone’s question and to do this he referred the questioner to the specific book wherein the answer could be found. Another person who greatly influenced Shaykh Aḥmad was Shaykh Sharīf al-Ya’qubī. It is sufficient proof of his position and status to mention that the three largest funeral processions in recent times were for Shaykh Badr al-Dīn, Shaykh Sharīf al-Ya’qubī and Shaykh Alī al-Daqr. Shaykh Aḥmad accompanied and served Shaykh Sharīf for about twelve years. The ulama mention that the Moroccans attain high levels of spirituality (wilāyah) by exerting themselves in devotion (mujāhadah) while the scholars in the east attain this level through serving their shaykhs (khidmah). Shaykh Sharīf had two such persons; Shaykh Aḥmad served him in his household chores and Shaykh Sa’īd al-Aḥmar served him in his business. Both of them were eventually themselves regarded as awliyā. Shaykh Aḥmad even accompanied Shaykh Sharīf on Ḥajj in the days when the train operated between Damascus and Madinah. And finally, another major influence on Shaykh Aḥmad was the saintly scholar Shaykh ‘Arif ‘Uthmān who was also one of the awliyā who benefited and attained immense love for the Prophet Muḥammad because of the time he himself spent in the company of two scholars who were known for their incredible love of the Prophet . They were Shaykh Yūsuf al-Nabhānī and Shaykh Muḥammad b. Ja’far al-Kattānī. Shaykh ‘Arif had initiated the gatherings of dhikr sessions devoted to sending salutations on the Prophet in Damascus. He desired that Shaykh Sa’īd al-Burhānī succeed him and Shaykh Sa’īd in turn desired that Shaykh Aḥmad succeed him which he did, leading thousands in dhikr after the Fajr prayer every day in the various masājid of Damascus. Shaykh Aḥmad was thus a true Prophetic heir in his attachment to the Prophet Muḥammad . This is supported by the various dreams seen about him wherein people were informed that he was the Prophet’s representative in the land of Shām. One of the reasons for having attained this position was because he accompanied people who had reached this level. He continued revering and honoring his Shaykhs throughout his life. 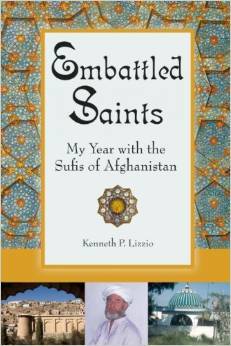 Another important aspect of his life was that he did not align himself to one particular group. Therefore, all the people of Syria were part of his group and this was apparent in the thousands that emerged for his funeral. 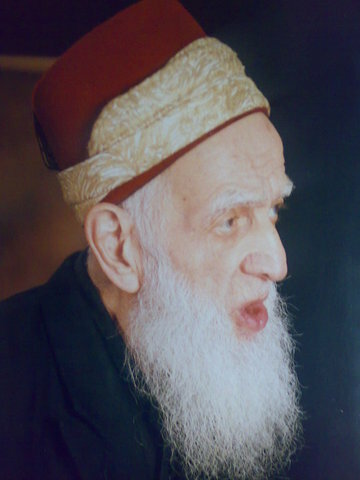 Shaykh Aḥmad passed away in Damascus on the 27th of January 2009 (1st Safar, 1430H). May Allah have mercy upon him and be well pleased with him.